OSWEGO – Hearing loss is a widespread problem in this country. But when left untreated, hearing problems can make it harder to communicate and socialize with others. According to the American Speech-Language-Hearing Association, adults under age 50 should have their hearing tested at least every decade. After age 50, you should have a hearing test every three years. Community members should also get tested if you notice that you’re having a harder time hearing, regardless of your age or screening history. · Difficulty understanding conversations, especially if more than 2 people are talking at the same time. · Asking people to repeat themselves or feeling like people are mumbling when they talk to you. · Trouble hearing in places with noisy backgrounds, like restaurants. · Trouble hearing while talking on the phone. · People complaining that you keep the TV too loud. · People complaining that you misunderstand what they say or complaining that you respond inappropriately. · Dizziness, ringing or pain in your ears. For community members concerned about hearing loss, Oswego Health Audiologist Karah Gottschalk provides hearing and balance testing for those of all ages. She also properly fits individuals with hearing aids and has many attractive options available. Hearing appointments are available and can be easily made to fit any schedule. 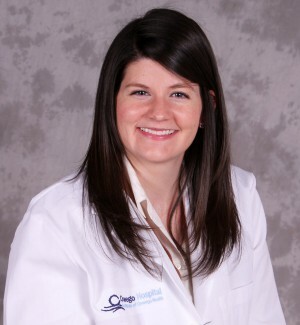 Dr. Gottschalk earned her doctor of audiology degree at the University of Louisville and completed her residency at the University Hospitals Case Medical Center, in Cleveland, Ohio. She also holds a Certificate of Clinical Competency (CCC-A) from the American Speech and Hearing Association. In addition to working at Oswego Health, Dr. Gottschalk is teaching a cochlear implant class to Syracuse University audiology students earning their doctorate degree. Oswego Health Audiology is located in suite 210 of the Oswego Health Services Center, which is adjacent to Oswego Hospital. To reach Gottschalk at Oswego Health Audiology, please call 326-3792.